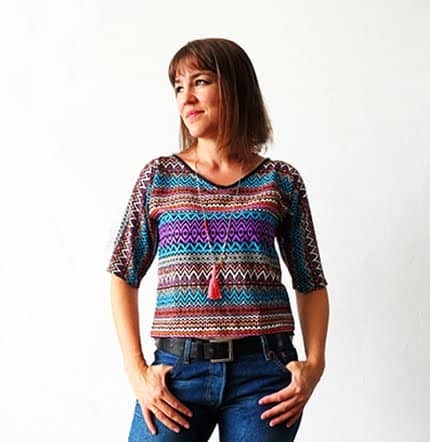 The Halloween month has officially started on the blog…. 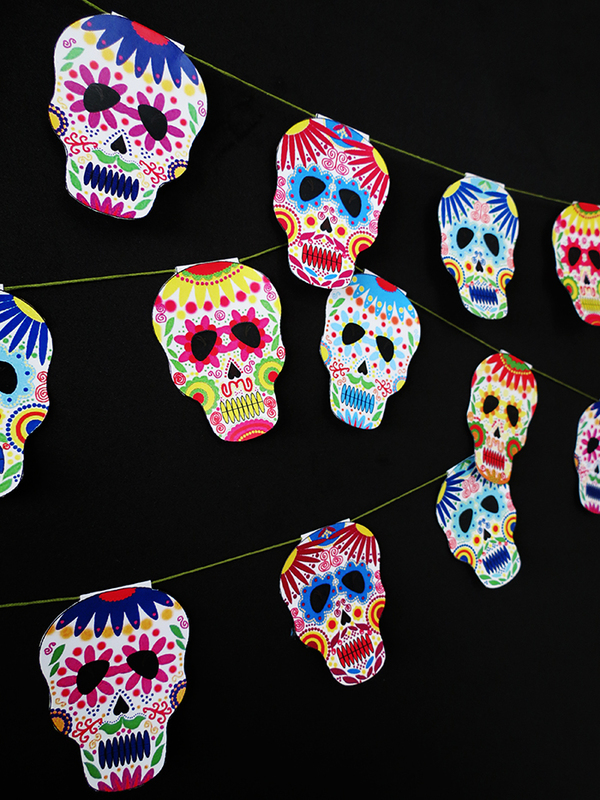 I like Mexican day of the death celebrations much more than Halloween pumpkins, so you gonna see a lot of Calaveras in the next few weeks! 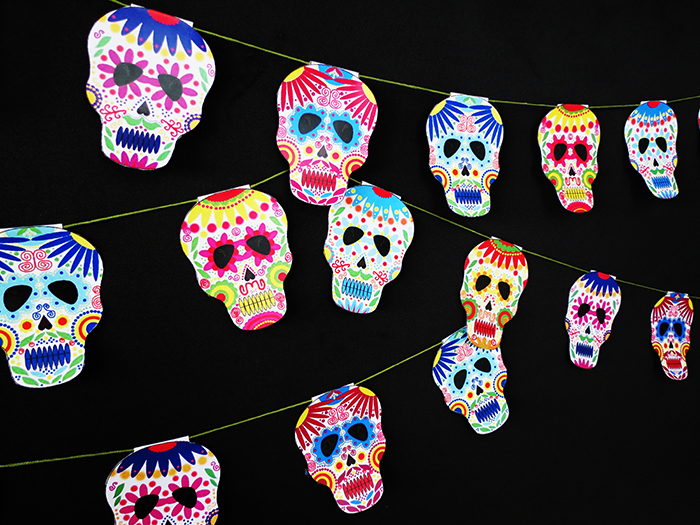 For today a Calavera sugar skulls garland, which is a simplified version of the cord light refashion I did a few weeks ago. I hope you will like it! 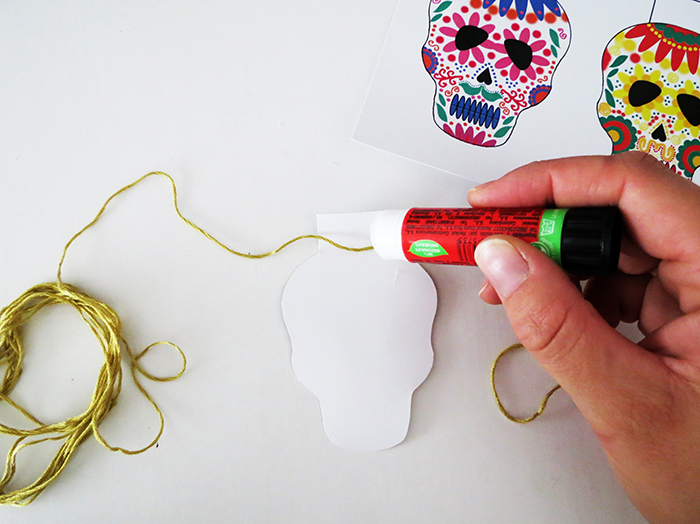 It’s very simple to make, I’m not even sure you need a detail tutorial for this craft. 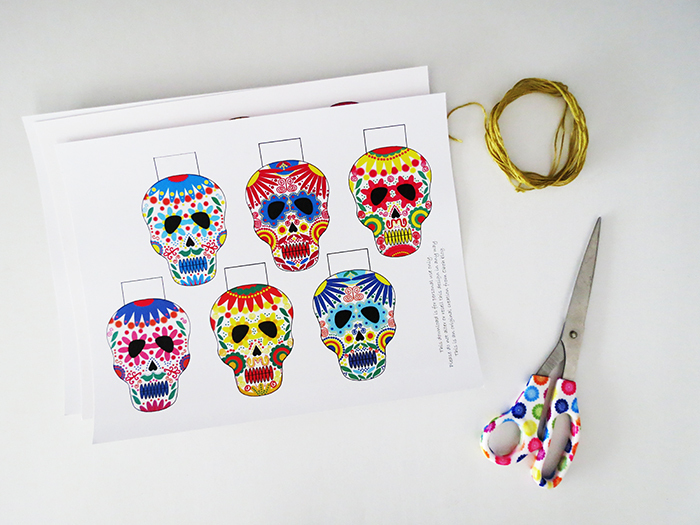 Get the sugar skull printable on my shop and print it as many time as you want. 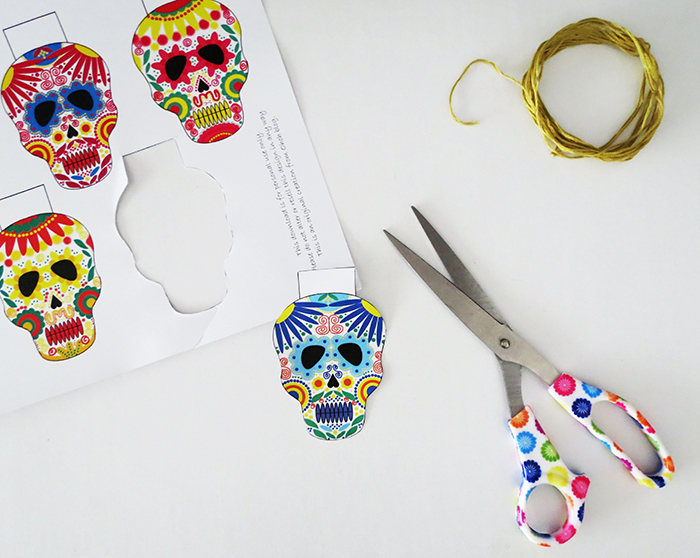 Beside the printable, you will need a piece of yarn or string, scissors and glue. 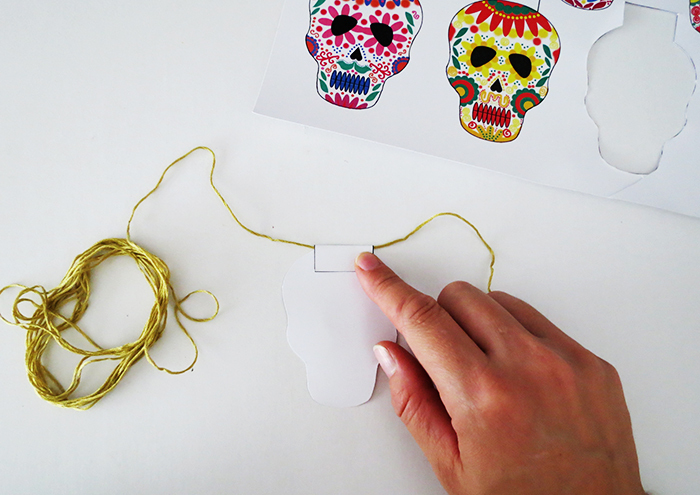 Cut out each calavera skull, fold the top flap and glue it on the string…repeat for each skull until you have the desired garland length. And done! 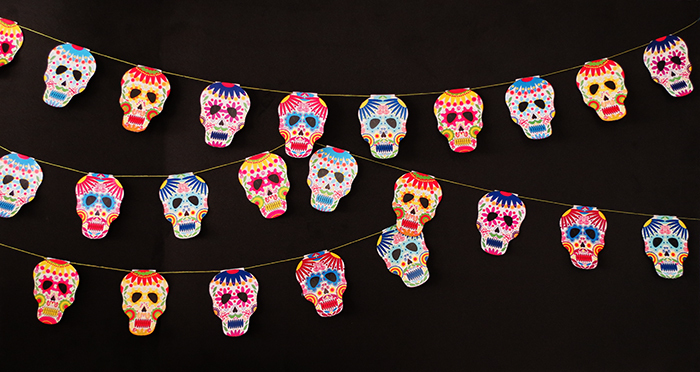 Hang it on the wall and enjoy your nice sugar skull garland!